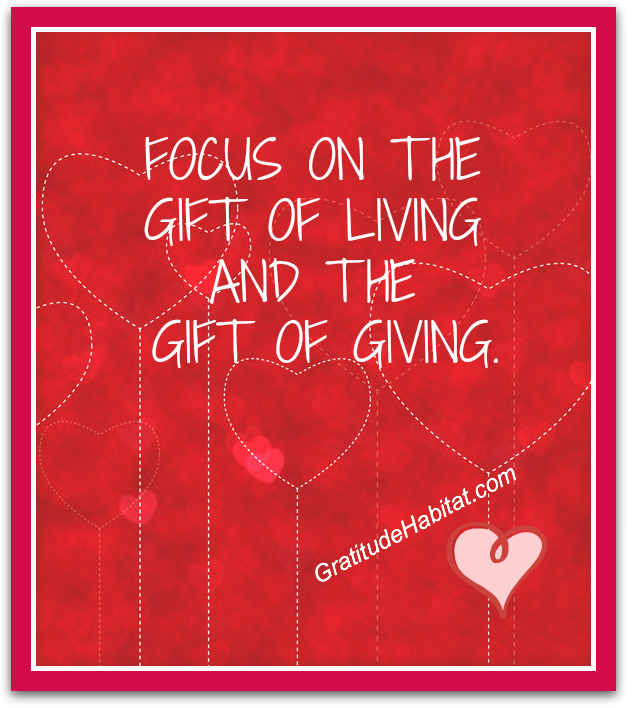 Focus on the gift of living and the gift of giving. Give thanks for the sights, sounds and smells of nature. Give abundantly of your appreciation.